Is your dental marketing company committed to great results? Or do they try to control which medium you use to advertise? I recently had a very successful and highly regarded dentist contact me about SEO. He has a PPC/Adwords guy controlling and managing his campaign. He’s very happy with the results, and boasts a very high ROI from such efforts. He tells me that even his billboards, radio ads, TV spots etc. didn’t compare to his PPC campaign. He just wants to know if SEO is the right fit for him, to gain new patients. In our conversation, I mention we should review some data within his Adwords account to see just how many people are searching in his target area. After all, if the search volume isn’t high enough, SEO wouldn’t be the right fit for his practice. He asks to think about it. Later, I find out that the Adwords manager opposed the idea of this dentist doing SEO. He was personally offended that the dentist felt his PPC management wasn’t enough for this dentist. He derided SEO as an ineffective way to gain new patients. This dentist didn’t want to offend his PPC manager any further, so he quickly disposed of the idea that SEO might be worth exploring. This dentist is suffering from being controlled, rather than committed to optimal results. Too often, I find marketing companies who specialize in alphabet soup dental marketing (PPC, SEO, SEM, elemenopee, etc) have lost sight of what really matters: finding the best fit for the dentist’s marketing goals. First, you have the direct mail company, who fails to speak at all with the SEO strategist. The photographer and videographer never meet. The SEO strategist never speaks with the front desk, who is in charge of “blogging.” Then, you have the pay per click manager, who is resentful if you try some other form of digital marketing. The guy selling billboard space doesn’t ever ask what your TV and radio message is. The public relations firm is tucked neatly away from the social media strategist. And the web designer you hired seems to have no problem at all asking for “content,” to fill the blank spaces in that new website they created. The dentist has to translate technical jargon from one department to another. It’s a telephone game. He needs to know how to speak clinician, geek, layman, and marketer speak. To some, there is no problem here. But if you think on a strategic level, there is a grave problem. Who’s calling the shots, here? No one is on the same page, and worse yet – each company or department is averse to each other. I find that this is often a result of each marketing specialist taking pride in a platform, tactic, or medium, rather than taking pride in the overall message. It’s time for dentists to take charge of their marketing message, and demand their marketing companies commit to results. Be willing to admit when your marketing medium isn’t the right fit for a particular practice, and commit to contribute ideas on how to create remarkable content. 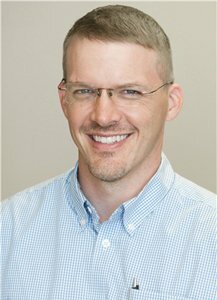 Dr. Christopher Phelps runs a company dedicated to helping dentists track real ROI. His service promotes a revolutionary idea in dental marketing: just do what works. He doesn’t try to control which particular medium you choose. He’s in favor of commitment to results, rather than controlling you. We’re on the brink of 2017. It’s time for more marketing specialists to think like Dr. Phelps. Dr. Anissa Holmes promotes a message that her audience believes in. 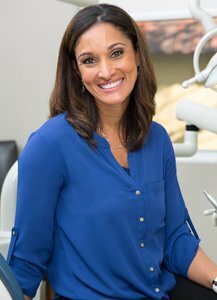 Even though she specializes in helping dentists with Facebook Ads, she allows different types of marketers to join in on the discussion of what’s best for any particular dental practice. Just like Dr. Phelps, she’s committed. Being willing to engage in an organization-wide discussion about what kind of differentiating message you can deliver is the first place to start. Tracking ROI gives you the ability to look in the rear view mirror and learn from past success and failures, but only a comprehensive content marketing strategy, where every member of your team has a say in what rules should govern the message, is the only way to ensure that your team is committed to results, rather than control. Use a project management board, like Trello. Get everyone in your dental office involved in a discussion on what kind of content will resonate with your ideal patient types. Create content rules that govern what kind of differentiated message you can deliver that no other dental office can. You can still use email if you’d like, but with Trello, you can showcase everyone’s feedback and ideas in one organized place. So how about your marketing service provider? Are they controlling you? Or are they committed to your success? In my next article, I’ll show you the top red flags to look for so that you can know the difference.